The core function of the Screening Group (SCR) at IARC is to provide data on the accuracy, reproducibility, efficacy, benefits, harmful effects, and cost-effectiveness of various early detection interventions for breast, cervical, colorectal, and oral cancers, among others, in reducing deaths and improving patients’ quality of life in various settings. These data can then be used to inform and improve the rational use of health-care resources. The Group’s ultimate objective is to guide the development of public health policies for implementing screening in a variety of health-care settings, in particular in low- and middle-income countries (LMICs). SCR conducts field studies in LMICs to evaluate various early detection methods for breast, cervical, colorectal, and oral cancer control. These initiatives also address the means by which screening services could be scaled up through local public health services. SCR develops various training resources to catalyse and augment capacity building in close collaboration with national institutions and government health services. Through its research programme, SCR generates scientific evidence to support the development of resource-appropriate early detection policies and health systems for the delivery of effective early services. For example, the Group significantly contributed to the evaluation of the safety and efficacy of less than three doses of the HPV vaccine in protecting against cervical cancer. Social inequity is universal, has a huge impact on health and well-being, and hits particularly hard the poorest of the poor and the least privileged individuals. 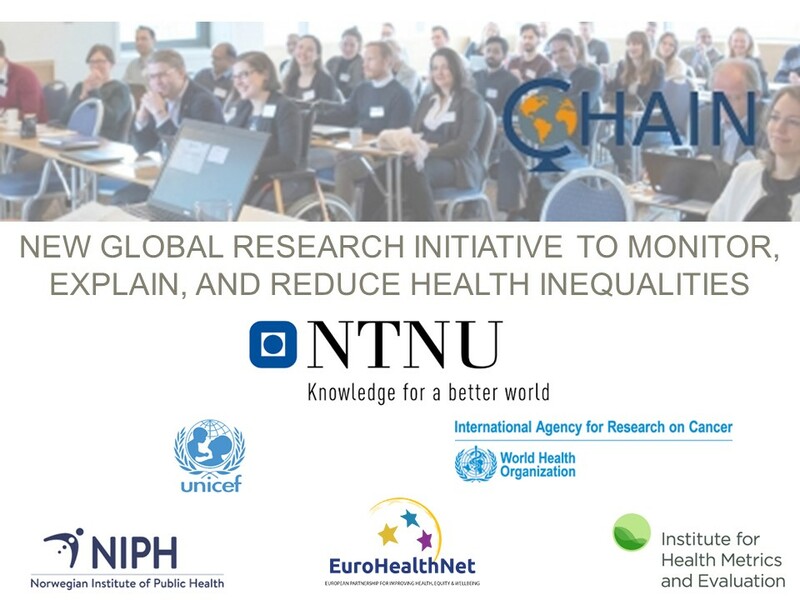 The IARC Screening Group is very happy to join hands with The Centre for Global Health Inequalities (CHAIN) to assimilate evidence, identify the outstanding gaps in knowledge, and find multisectoral solutions to address social inequalities in accessing affordable, appropriate, and effective health care. More details. 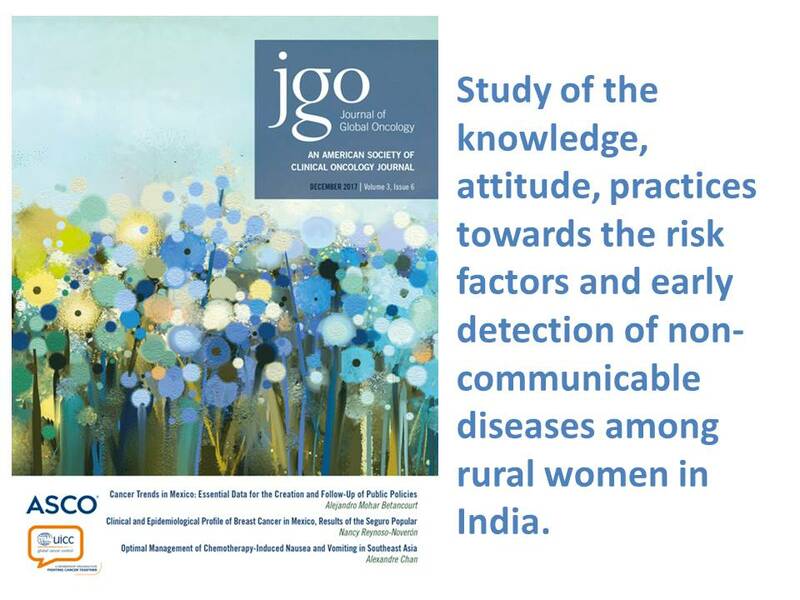 This new article, published in the Journal of Global Oncology and based on an on-going Indian study coordinated by the Screening Group and partners from GBH Memorial Cancer Hospital (Udaipur) and The Indo-American Cancer Association (IACA) assessed the knowledge, attitudes, and practices of Indian rural women toward common NCDs and the barriers they face in receiving NCDs early detection services. The publication highlighted that barriers need to be addressed to improve uptake of NCDs early detection services. View the publication. Dr Partha Basu explained how IARC Screening Group, GBH Memorial Cancer Hospital (Udaipur) and the Indo-American Cancer Association (IACA) are working to prevent deaths from NCDs diseases: breast cancer, oral cancer, cervical cancer, diabetes and hypertension. By developing a model for cancer screening based on the Indian Government policy that can be used when access to health services is limited, we can save lives. 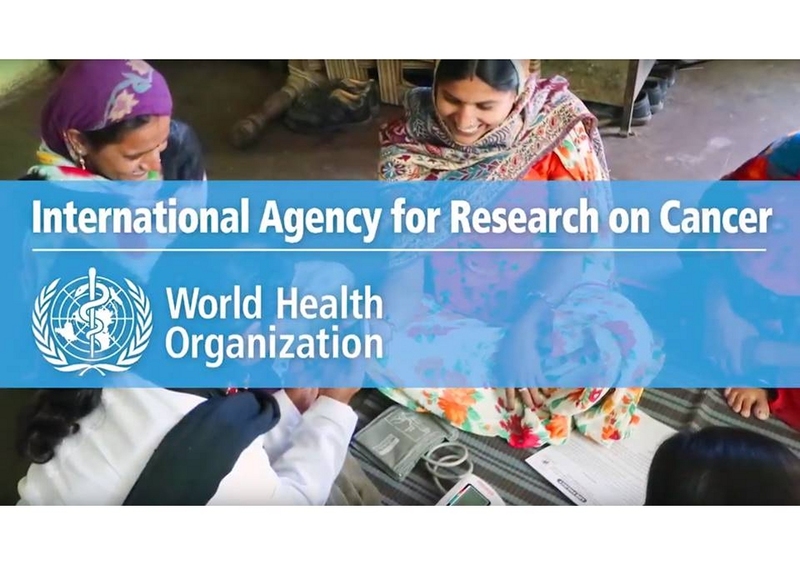 Vale D.B.,Sauvaget C., Murillo R., Muwonge R., Zeferino L.C., Sankaranarayanan R. Correlation of Cervical Cancer Mortality with Fertility, Access to Health Care and Socioeconomic Indicators. Rev Bras Ginecol Obstet. 2019 Mar 25. Gadgil A., Sauvaget C., Roy N., Muwonge R., Lucas E., Sankaranarayanan R. Setting up a Breast Cancer Awareness Project in Mumbai: Methodology, Experiences and Challenges. J Cancer Educ. 2019 Mar 12. doi: 10.1007/s13187-019-01500-x.